She is a successful author, a loving wife and the world’s best mom. Her doctor husband dotes on her, her teenage daughter idolizes her and her readers yearn for her writing. Shouldn’t all that respect and love make her happy? Yet, she is devoid of inner peace. In the wee hours of the night, her slumber is disturbed by horrifying nightmares. 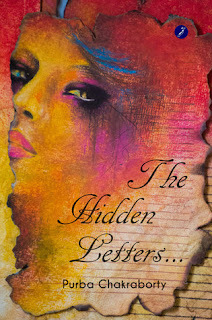 All her harmony is abducted and lost amidst the bunch of hidden letters kept in her cupboard. Those letters were written long back by her cousin,presently a patient at a mental asylum in Kolkata. Haunted by her inner demons and tired by the long-time secrecy, she decides to put end to her misery by surrendering to her husband and daughter, The Hidden Letters. . . Will she lose her husbands love and daughters respect? Can she forgive herself for her own selfishness which rendered her cousin’s fate malignant? 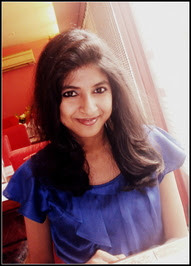 Purba Chakraborty is born to a Bengali family in Kolkata on 17th June, 1990. She is a content developer/writer by profession, author by passion and a blogger by choice. She has authored two books ‘WALKING IN THE STREETS OF LOVE AND DESTINY’(2012) and “THE HIDDEN LETTERS…”(2014). Many of her short stories and poems have been published in magazines and anthologies namely “Stories for your valentine” and “Fusion-A mingled flavour mocktail”. She is currently working on her next manuscript.